Achilles Tendinitis can happen to both runners and non-runners alike. People suffering from achilles tendinitis typically experience pain and soreness located on the back of the heel where our achilles tendon attaches our calf muscle to our heel bone (calcaneus). The achilles tendon, sometimes called the heel cord is the largest and strongest tendon in the body. It comes from the 2 big muscles in our calves (Gastrocnemius and Soleus) and helps us to come up on our toes when we walk or run. Some of the symptoms of achilles tendinitis include stiffness in the back of the heel along with pain and soreness when there is pressure on the heel. Often times, the back of your shoe can rub the sore spot and aggravate the area. If the tendinitis lasts for a long time it can result in a thickening of the tendon and chronic achilles tendinitis places individuals at a greater risk for a rupture or tear of the tendon. 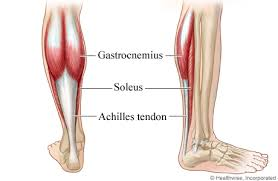 There are several possible causes of Achilles tendinitis but the most common is overuse of the tendon. Runners and athletes are at a higher risk of developing achilles tendinitis as a result of increased forces placed on the tendon. Sudden increases in activities such as running and jumping can also cause the tendon to become inflamed. 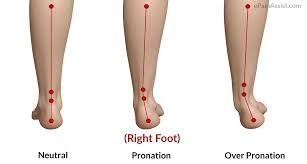 Tightness in the ankle and tendon can make an individual more prone to developing achilles tendinitis. In addition, people with very flat feet who overpronate (ankles collapse inward) are also more prone to developing achilles tendinitis. Treating achilles tendinitis includes resting the tendon by decreasing activity or by immobilizing the ankle through a cast or walking boot. Icing the heel cord for 10-15minutes throughout the day is a helpful way to reduce the inflammation present in the tendon. Just make sure to place a towel / cloth between the ice and the skin to avoid skin irritation. Other treatments include wearing a Dorsal Night Splint (DNS) to help promote a gentle stretch of the achilles while you are sleeping. Sometimes, NSAIDS are needed to help reduce pain and inflammation in the achilles. As the symptoms decrease, it is important to begin a stretching and strengthening program to help improve the integrity of the tendon and prevent the chances of having the issue reoccur. In severe cases, surgery may be required to help repair the tendon. If you are having difficulty treating the pain and soreness on your own, physical therapy can be effective in guiding you with appropriate stretches and strengthening exercises for the achilles. In addition, PT can assist you in returning to the things you love including running and walking. Finally, the best way to treat achilles tendinitis is to avoid it all together. A proper warm-up of 5-10 minutes of very light activity to get your blood flowing is important. Follow that with some gentle calf stretches and heel raises to ensure that the achilles tendon is ready for action. And finally, remember to wear good supportive athletic shoes whenever you are going to be active.